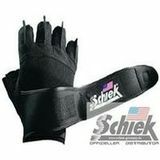 Schiek Sports produces the highest quality products in the industry for back support weight training, Bodybuilding and sporting activities like sports gloves, weight lifters belt, sporting bandages, training gloves, lifting straps, wrist protection, knee bandages. 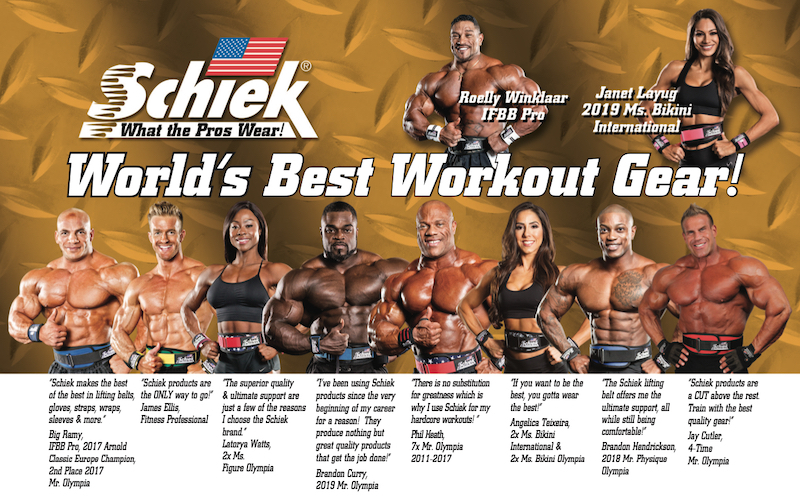 Not only professional bodybuilder Mr. Olympia 2006 - 2007- 2009 and 2010 Jay Cutler and professional bodybuilder Chris Cormier and Victor Martinez use Schiek Sports products,Top athletes all over the world using more and more our fine Schiek Sports products in gyms and athletic facilities everywhere are wearing and recommending our lifting belts, sports gloves, lifting straps and water ski jump sling's. Schiek Sports is also involved in the field of Powerlifting, and many products from Schiek Sports lend themselves perfectly for the PowerLifting and sign with a very good accuracy and quality. Powerlifter make a good choice and protect your health at the same time at powerlifting. 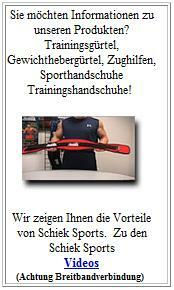 At Schiek Sports Germany you will receive fitness accessories and sporting goods and sports equipment in good quality. Our fitness equipment is well known for its unique quality that you rarely find on the market. Our product line not only training belts, Weightlifting belts, Powerlifting belt, fitness belt but also fitness gloves, sports gloves, training gloves or Lifting Straps with sports bandages. Furthermore, Schiek Sports sporting bandages as knee bandages, bandages wrist or elbow bandages. Schiek Sports sports bandages are extremely resilient and very high quality. The training belt, weight lifters belts, power lifting belts, fitness belts and fitness gloves, sports gloves, training gloves have all a unique patent. Convince yourself of our quality and our service. Schiek Sports Germany. You'll also find Schiek lifting belts used in preventative programs in medical, industrial and in home-use applications. Schiek lifting belts can reduce the risk of repetitive lifting accidents and help people with lower back problems or patients under a physicians care. Compare our Schiek Sports Belts and find out the difference and Advantages. Here you find out the differences of our Sport gloves the Platinum and Power Serie. 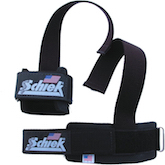 Schiek Sports Support Belt 2006. Patented downward angle fits the natural shape of your back. Patented hip and rib contour for extra comfort.Two year warranty. The Schiek Sports Dip Belt Model 5008 is made from genuine leather and features a padded back, hip and rib contour for comfort and to reduce slippage and heavy duty chain and carabiner. One size fits all. Schiek Sports Power Lifting Straps 1000PLS. The Model 1000PLS Power Lifting Straps combine a 1/4" thick neoprene wrist support with a 11" long nylon/acrylic strap. The straps are sewn perpendicular to the wrist and are extremely durable. The 11" straps provide for a secure fit around the bar. Schiek Sports Basic Padded Lifting Straps 1000BPS.Model 1000BPS Basic Padded Lifting Straps have the same design as our 1000BLS Basic Lifting Straps with a 1/8" plush neoprene padding around the wrist for added comfort. 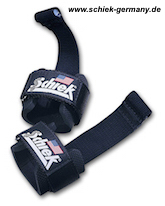 The straps are made with durable nylon-acrylic webbing are are a full 20" in length. Schiek Sports Knee Wraps 1175. Model 1178 Knee Wraps are constructed of heavyweight cotton elastic for maximum support. The wraps are 3" wide and 78" long and are made with pride in the .